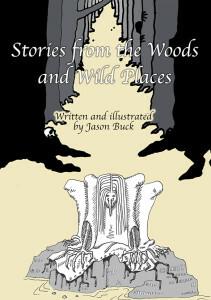 A printed version of Jason’s sell out show of the same name, with an additional story, and illustrated by the author. Anastasia: A little girl gets lost in the winter forest. Can the beings from other worlds save her before the cold bites? A new collection of stories for adults and young adults. Whereas most fairy tales start in enchanted woods and flowery meadows, these stories are set in towns and cities: Fantastical cities in the desert, the dark of modern day alternative London nightclubs, and locations in India and Japan. 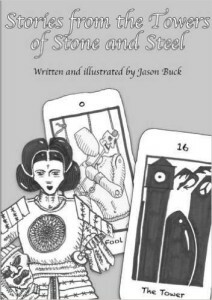 Written and illustrated by Jason Buck, storyteller and performer, these stories were first written for telling aloud, and have all been performed to live audiences. The Onion Man: Is it a gift to be able to change one’s shape and appearance at will, or is it better for us to find our one true self?